Today, I finished with plus 5 ticks on 3 trades during my day trading session in the crude oii futures market. I had 2 losses for 15 ticks and 1 win for 20 ticks. Today is Crude Oil Inventory report trading day. I will be day trading in the crude oil futures market right around 9:30AM CST plus a minute (give or take). I ran with a 11 to 12 tick stop loss with no more than 3 trades today. Officially, I had 3 trades with 2 losses for 15 ticks and one win for 20 ticks. The crude oil futures market had what I call a TieBreaker Scenario on the inventory report today. 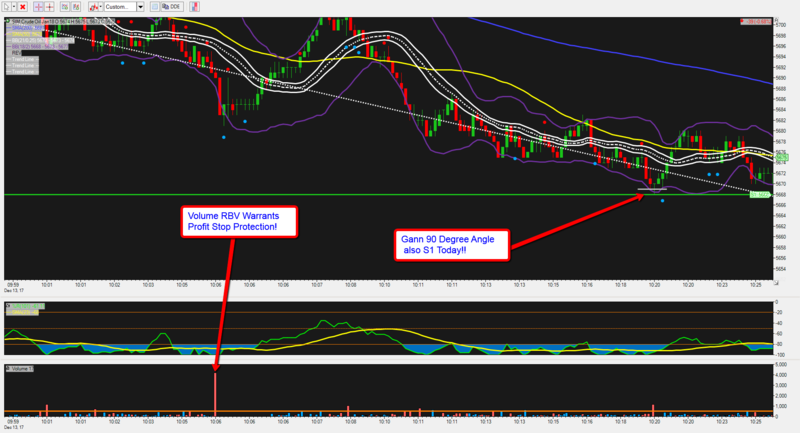 I wanted to make sure I had enough momentum to take on a trade today with the price action in the CL futures market. My sole winning trade was to be short at 9:48AM CST at 5717. 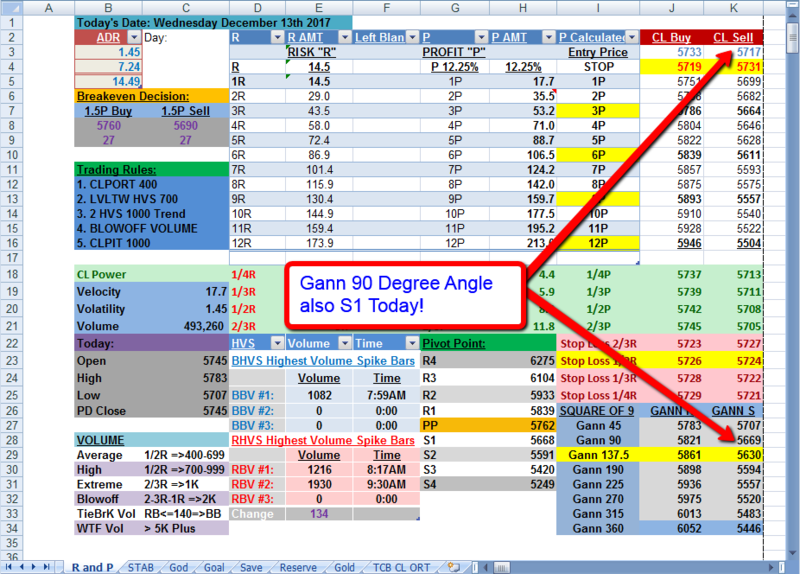 The trade exit was 5697 at 10:07AM CST for a gain of 20 ticks or 200 dollars. 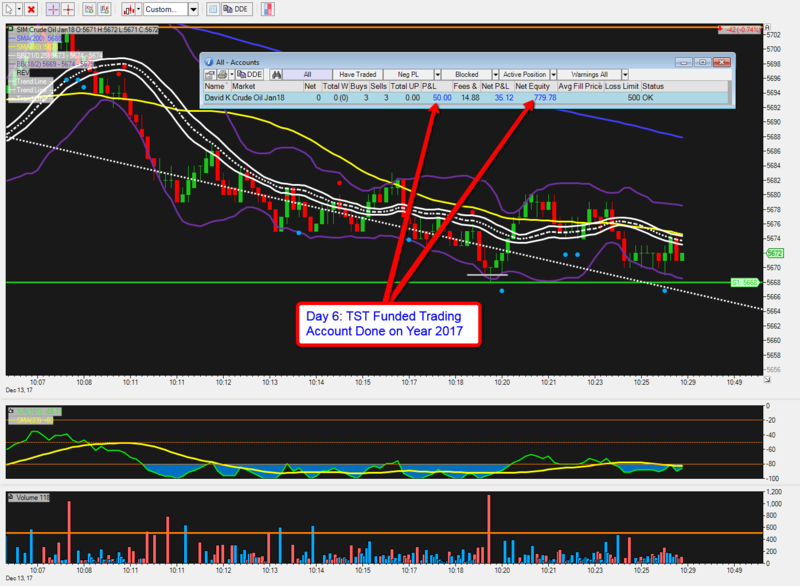 This was the last trade for the year for me in the funded account here at TopStepTrader (TST). 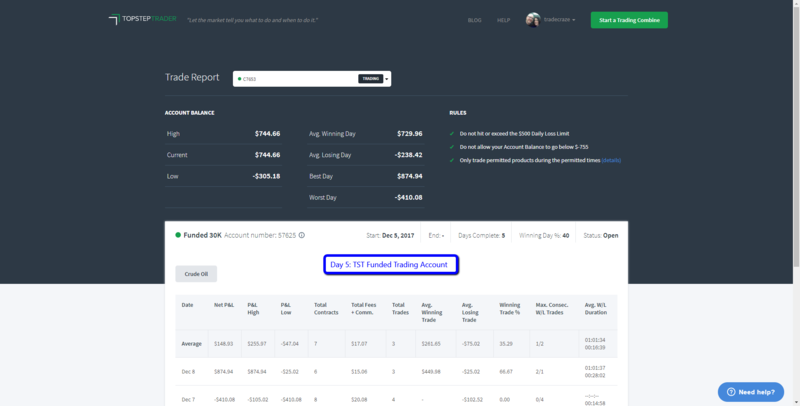 For the month of December I had 20 trades for an overall gain of 88 ticks or $880 before commissions day trading crude oil futures.